The Coleco Chameleon is a video game console promising to take a stand against downloadable content (DLC) by shipping non-upgradeable cartridge games just like systems from the 1980s and 1990s. Unfortunately, the Chameleon may never see the light of day. Following its public debut at the New York Toy Fair, the Chameleon was set to launch through a Kickstarter campaign starting February 26th. The campaign was going to be used to build interest in the new game console and would be used to release details about the console such as price and launch titles. 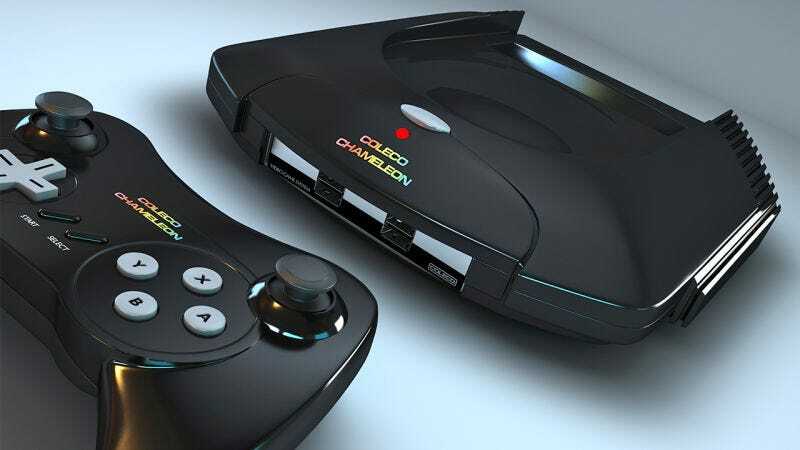 But last week, instead of launching the new Kickstarter campaign, the company building Coleco Chameleon, RetroVGS, announced on Facebook that it was delaying its Kickstarter campaign. We have decided to delay the pre-sell, i.e. Kickstarter, campaign in order to finalize our prototype and work with developers on having the best possible content,” said Retro VGS in the post. “We’ll keep you posted on any major news on our Facebook page and will let you know when we launch a pre-sell program leading up to the Christmas season. The delays don’t come as much of a surprise to anyone that’s been following along. As we noted in our New York Toy Fair post, Retro VGS announced the project in early 2015 after acquiring the original toolkit for the 1990s gaming system, the Atari Jaguar. The project was later cancelled due to crowdfunding issues and complications that occurred while building the initial prototype. Now that February 26th has passed on the Kickstarter campaign doesn’t appear to be coming anytime soon, it’s getting harder to believe the viability of the new gaming console. We reached out to Mike Kennedy for comment and will update when we hear back.